Kienitz Tax Law > Legal News > Liens & Levys > What Is Tax Garnishment? 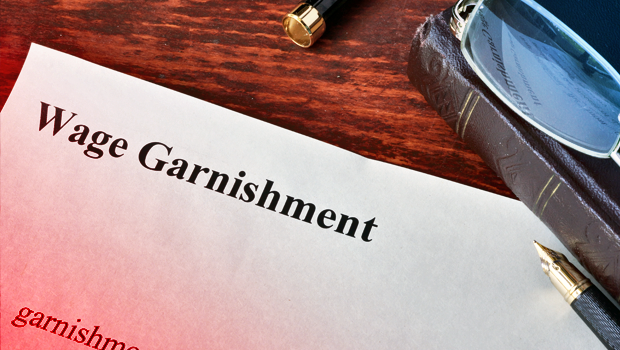 Technically speaking, “tax garnishment” is a misleading term. This is because a person’s taxes aren’t being garnished. When someone uses the term, tax garnishment, they are probably referring to the use of wage garnishment to pay the taxpayer’s back taxes. Not surprisingly, the garnishment of wages is a common tool used by the IRS. Why Will the IRS Garnish a Taxpayer’s Wages? Sometimes referred to as a wage levy, a wage garnishment occurs when the IRS tries to collect a tax debt. The IRS takes a portion of the taxpayer’s paycheck and uses that to pay for a portion of the taxpayer’s outstanding balance. As a result of due process, a taxpayer will receive notice of the garnishment before it takes place. This provides the taxpayer an opportunity to contest the government’s position concerning the tax debt before money is actually taken from them. The IRS follows these due process mandates by first calculating how much the taxpayer owes in back taxes, along with any penalties and interest. The IRS will then notify the taxpayer of his or her tax debt by sending a Demand for Payment or similar written document explaining the tax debt and its amount. Assuming the taxpayer doesn’t may arrangements to pay the tax debt, the IRS will send a Final Notice of Intent to Levy as well as a Notice of Your Right to a Hearing. These last documents will provide an opportunity for the taxpayer to contest the existence and amount of the tax debt. How Does the IRS Garnish Taxes? If the taxpayer can’t pay its tax debt or otherwise resolve the tax issue, the IRS will garnish the taxpayer’s wages. The taxpayer will have at least 30 days from the date of the most recent written notice before the IRS will begin taking the taxpayer’s wages. Most people might think the IRS must first get a court order or judgment to begin the garnishment of wages, but this is not the case. All the IRS needs to do is contact the taxpayer’s employer and order them to take a portion of the taxpayer’s pay and send it directly to the IRS. As long as the IRS properly follows garnishment procedures and garnishes wages from the correct taxpayer, there’s not much the employer can do except to comply with the garnishment request. How Much Can the IRS Take? The question isn’t how much can the IRS take. Rather, the question is how much must the IRS leave in each paycheck it garnishes. As long as the IRS leaves a certain amount of money in each paycheck for the taxpayer to live off of, the IRS can pretty much take as much money as it wants. The precise amount that must be left behind depends on the individual taxpayer’s financial situation. Basically, the only practical way to stop the wage garnishment is to pay off the tax debt. Besides paying off the tax debt in a single payment, the taxpayer can set up a payment plan or request an offer in compromise. Another option is to claim financial hardship, which may be able to delay or temporarily stop the wage garnishment. Whatever option the taxpayer chooses, seeking advice from a tax professional is strongly recommended.